The map above is meant to help break through the stigma and show that the problem is real, but it doesn’t tell the whole story. 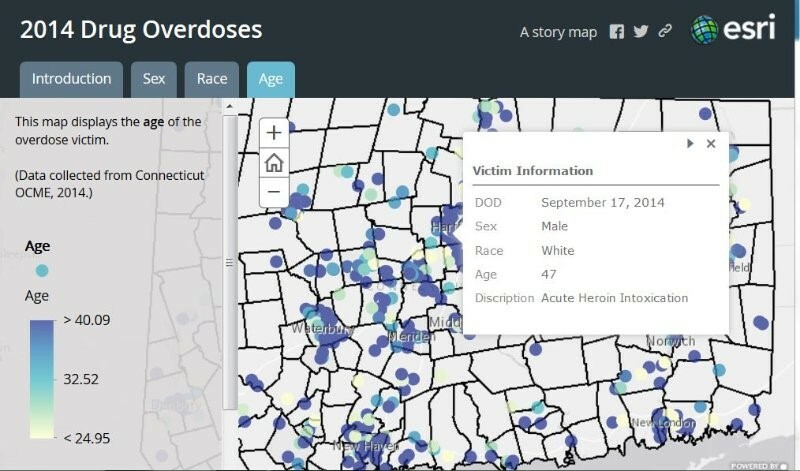 Individual states are putting together examples to show the impact within their communities, such as in the map below by the Connecticut Office of Policy and Management, Division of Criminal Justice Policy and Planning, Research Unit. Mortality maps like the one above—Mortality maps show trends within a community and where extra outreach may need to occur. These trends can be shown in a variety of ways such as dashboards of local coroner data. 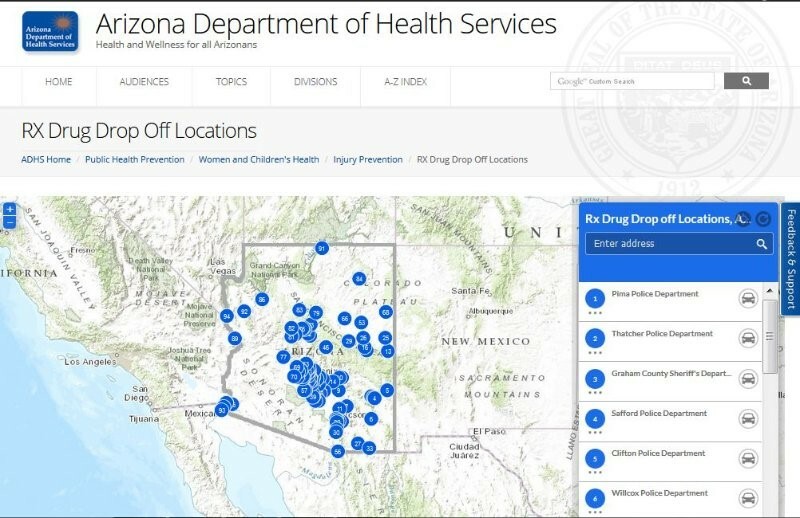 The Arizona Department of Health has a great dashboard and accompanying video. Prescription drug drop box locations—Below is an example by the Arizona Department of Health Services. This is important, as it helps explain where to dispose of drugs so they don’t get into drinking water or in others’ hands. 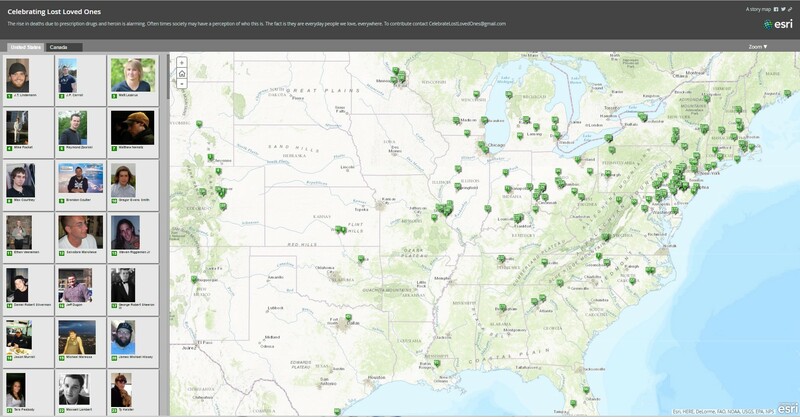 You can see states and counties that have similar drop box maps. Where to access help—When a loved one needs help, family members don’t always know where to turn. Local resources, such as Riverside University Health System sites, can be invaluable. Naloxone access and where it is administered—Naloxone can reverse the effects of an overdose. Police and fire departments administer it in emergencies, and maps, such as this one by the City of West Allis, Wisconsin, show how prevalent trends are and where overdoses have been prevented. Since naloxone is not readily available in all states, maps showing pharmacies that provide access can be lifesaving. These simple resource maps can be just the start. Visualizing trends can help you build a story and understand more about what is happening near you. This will allow better decision making in determining where to access treatment, provide education to youth and medical staff on prescription practices, and find other health assistance. A great depiction of how statistics and geography come together is in this story map of Massachusetts. To see more examples of what federal, state, and local governments are doing, please see this gallery, which will be updated as new applications are shared.